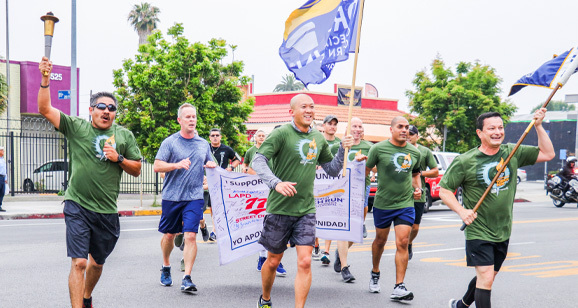 In the Spring each year, 1,200 officers from local, county, state, federal, and military agencies go above the normal call of duty and run in the annual Law Enforcement Torch Run® Final Leg. 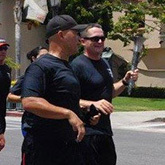 The officers champion acceptance and inclusion as they carry the "Flame of Hope" nearly 900 miles and through 200 Southern California communities. 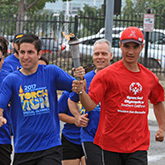 The Final Leg ends at the Summer Games Opening Ceremony, where the torch lights the cauldron to symbolize the start of the Games. 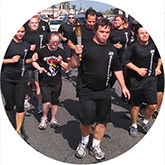 Along the way, they educate the community about the gifts, talents and abilities of people with intellectual disabilities and promote unity and respect for all. 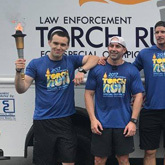 Law Enforcement professionals can register to run and supporters can donate to the 2019 Torch Run! 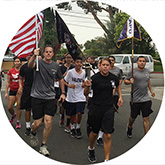 See the websites listed below for information. 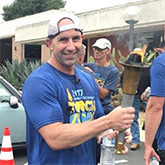 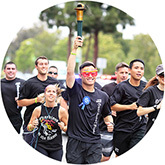 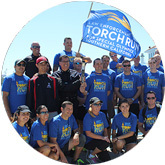 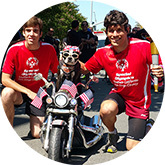 Lead the charge in the Law Enforcement Torch Run Final Leg by signing up as a runner and raising awareness and funds for Special Olympics Southern California. 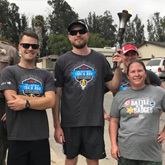 If you or your agency would like to carry the "Flame of Hope," and/or have additional questions, please contact Luke Farnell at lfarnell@sosc.org or 562.502.1038.